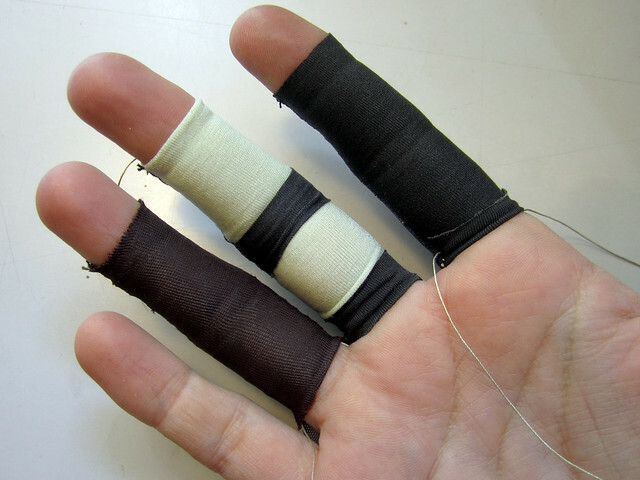 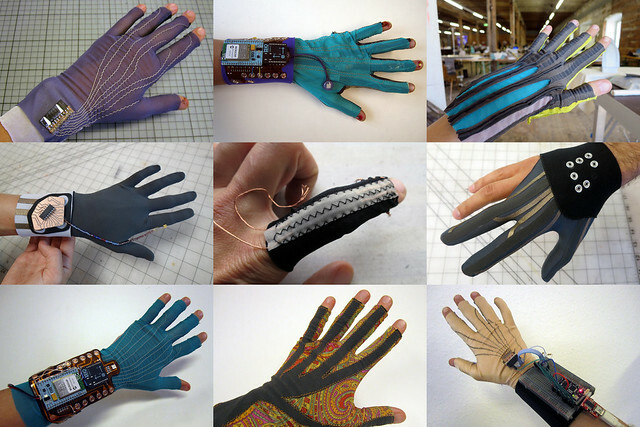 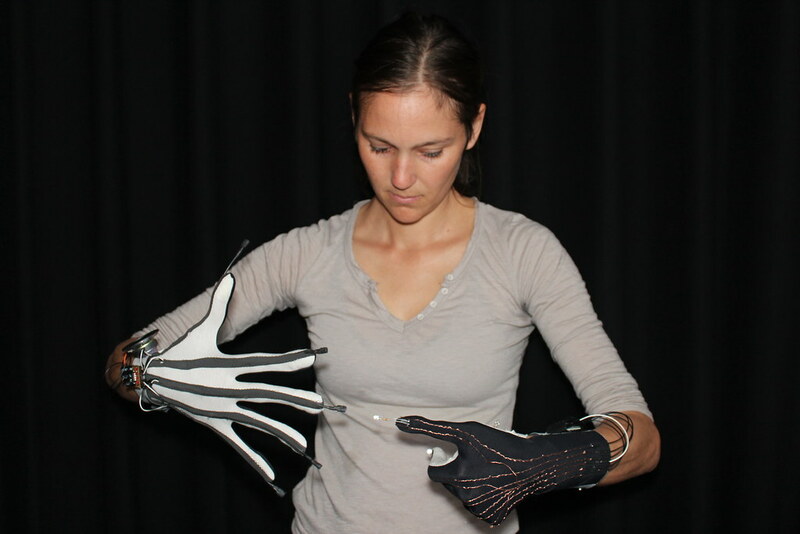 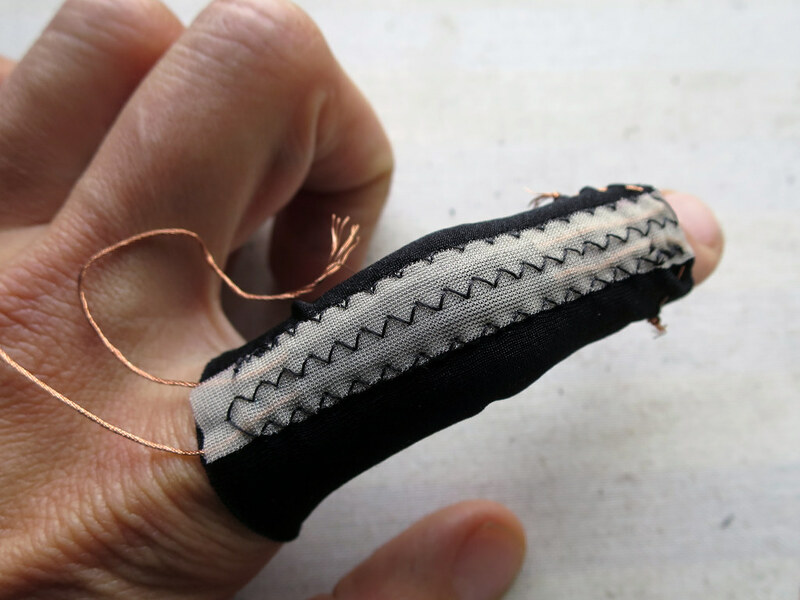 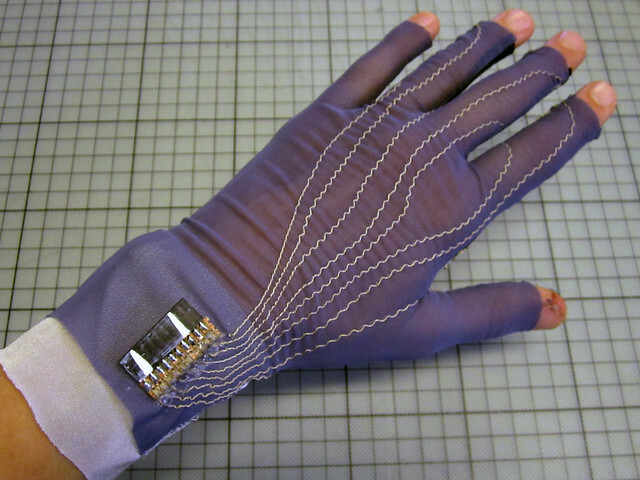 The following is a collection of Datagloves made using electrically conductive fabrics that react to strain (stretch, pressure) with a change in electrical resistance (piezoresistive effect), allowing them to sense the movement of the fingers. 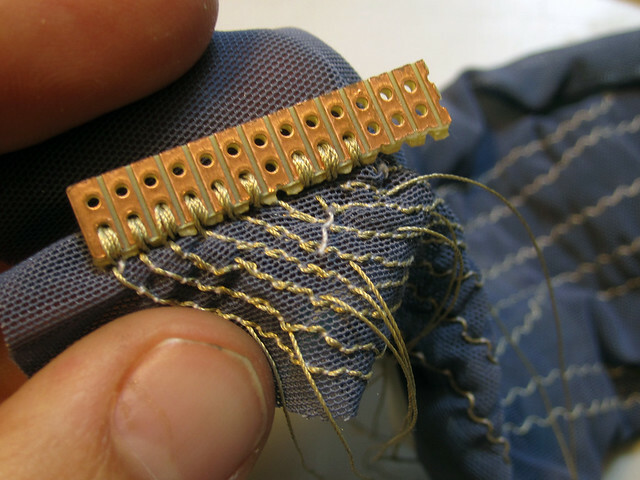 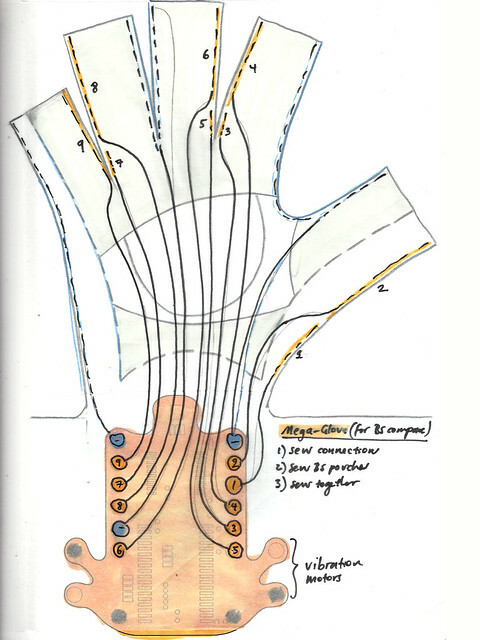 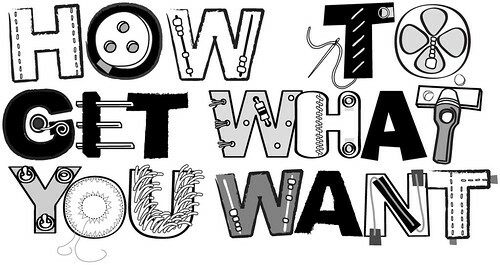 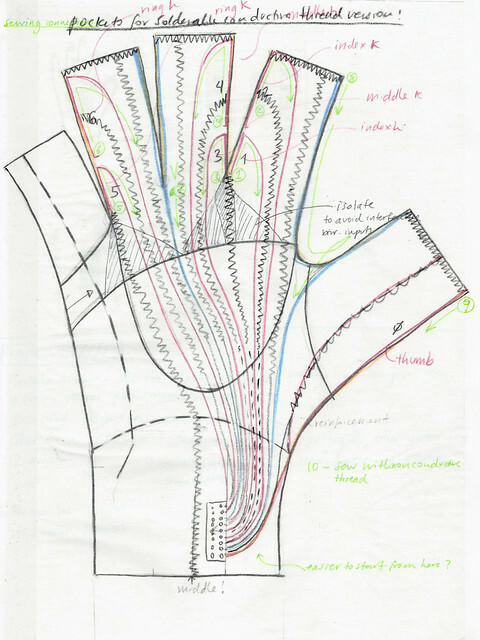 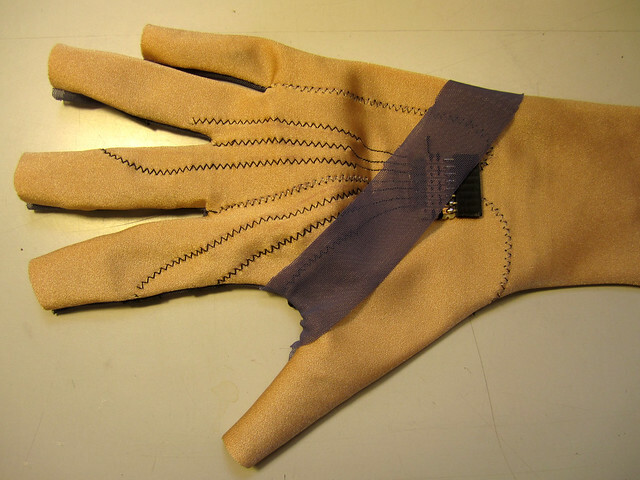 Connections are made from these fabrics to classic electrical wires and circuitboards, so that a microcontroller can translate these analog voltage signals into digital values which can then be interpreted as gestures. 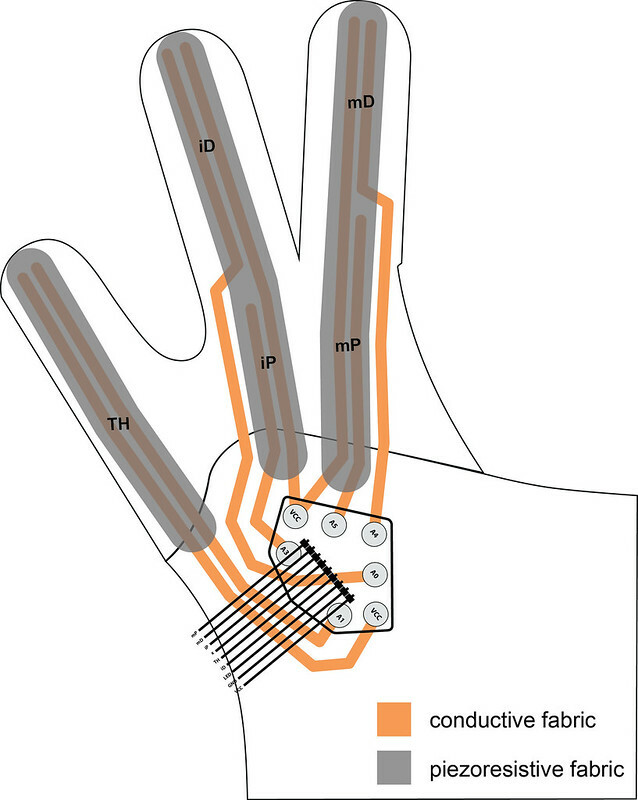 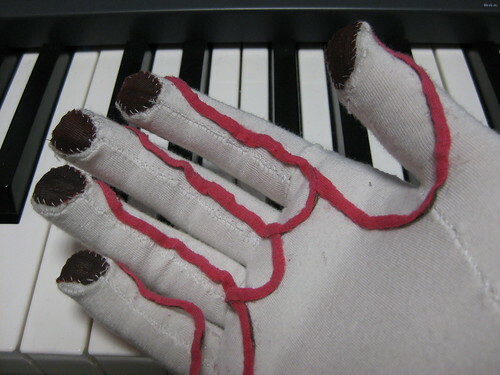 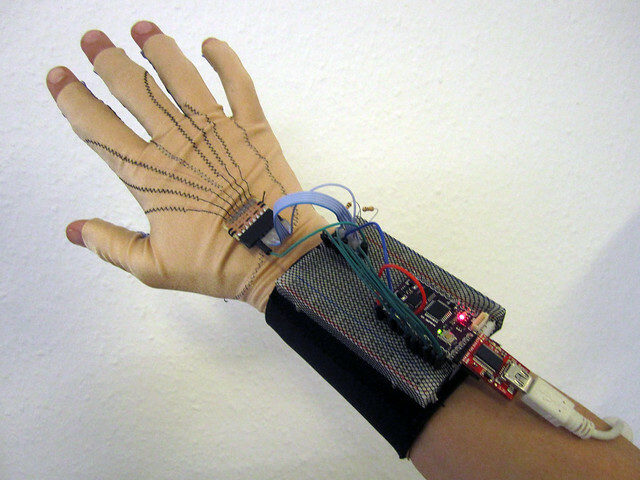 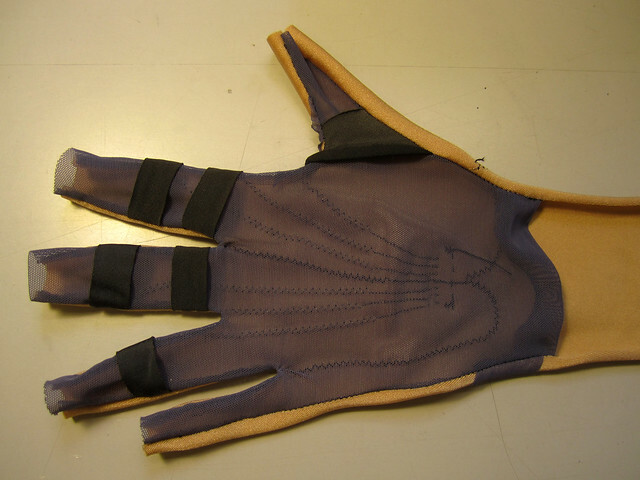 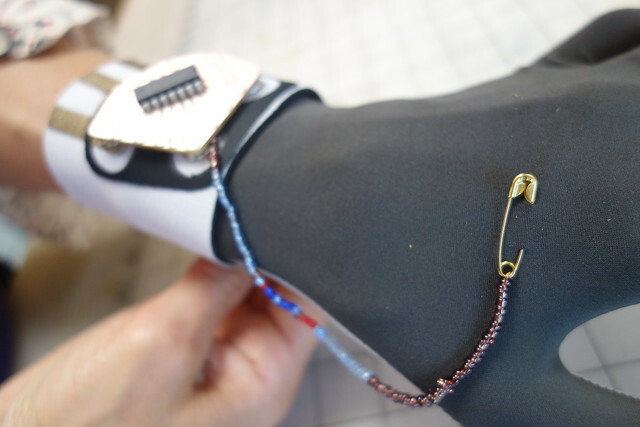 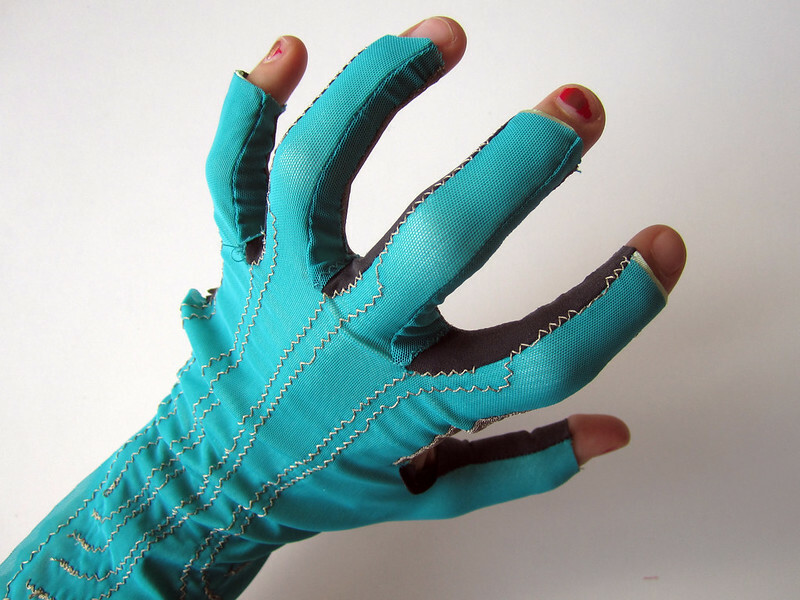 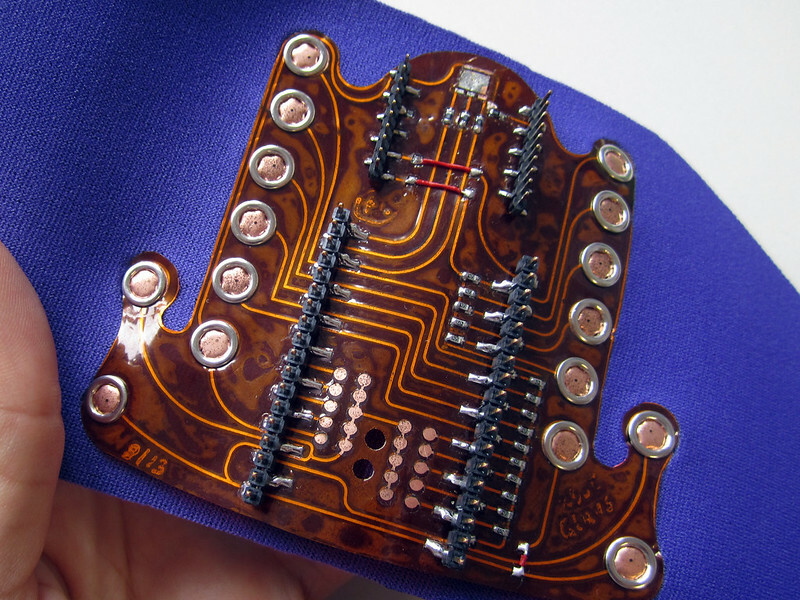 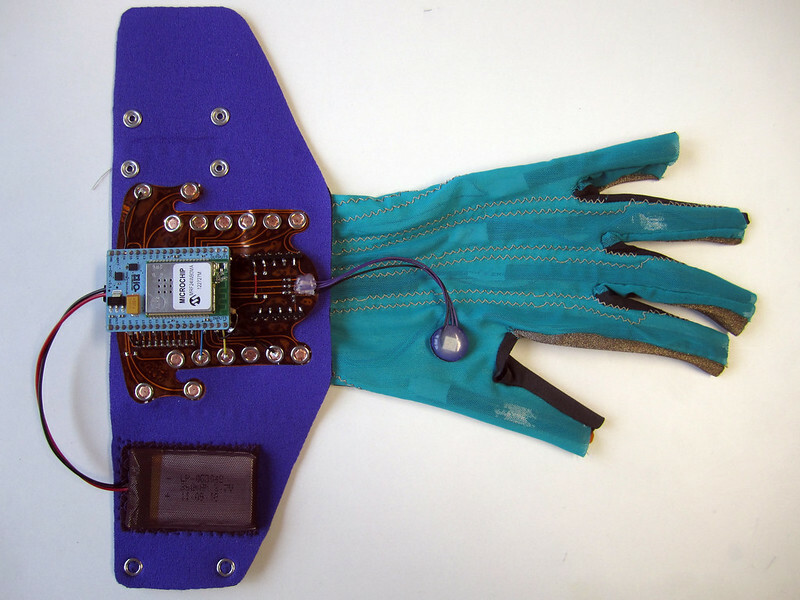 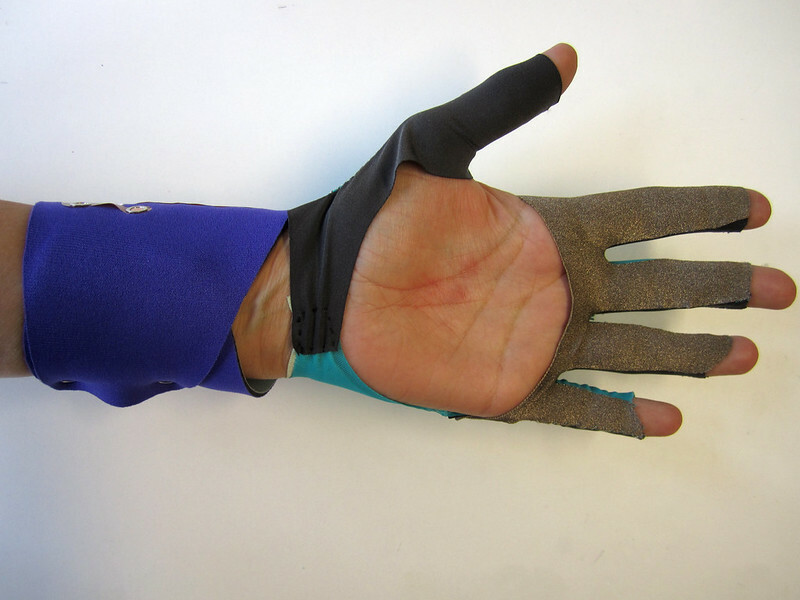 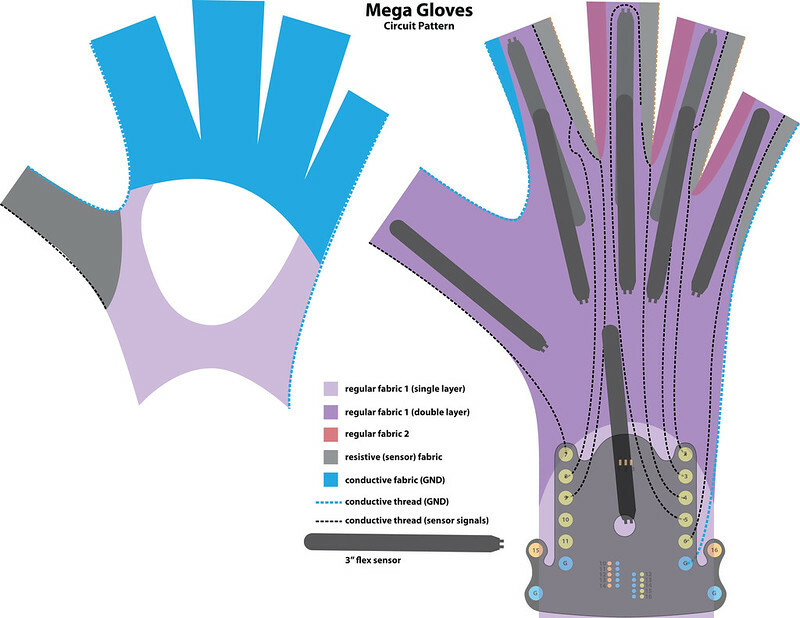 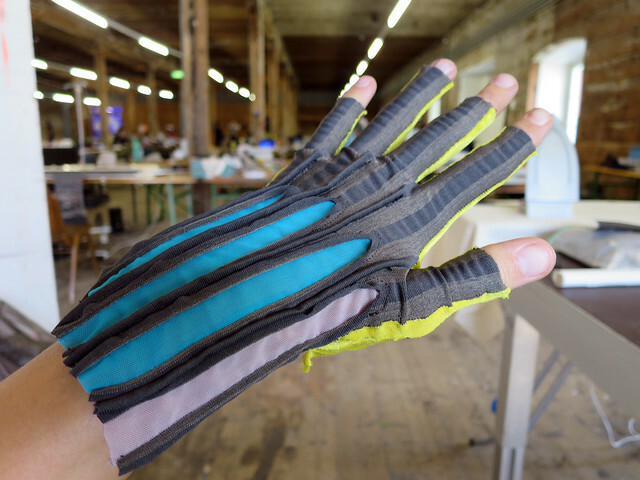 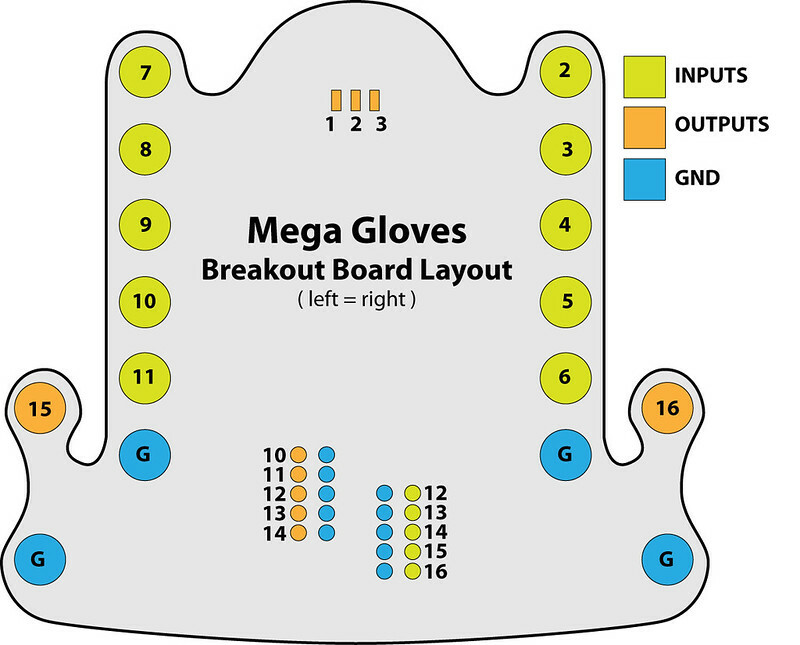 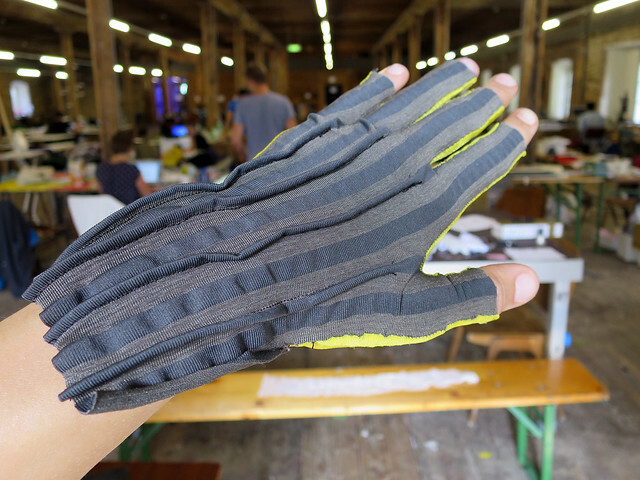 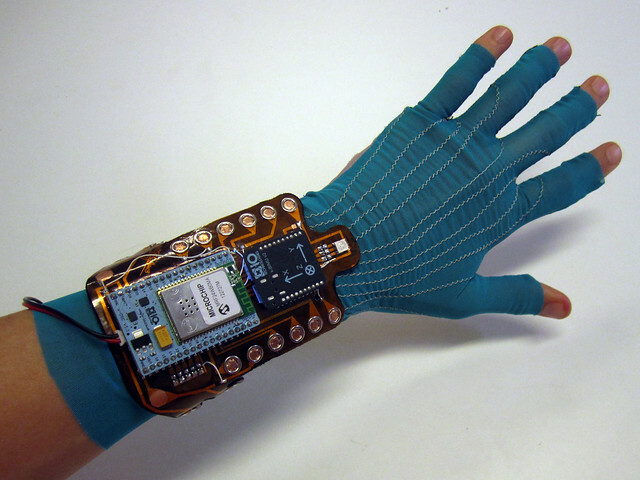 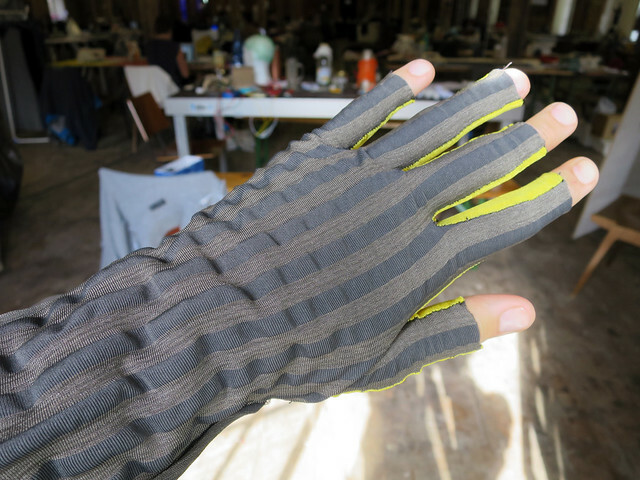 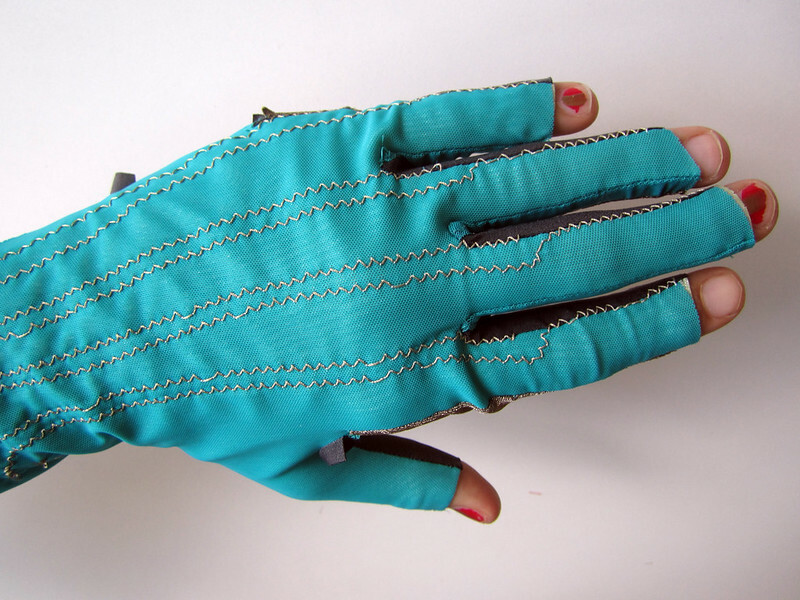 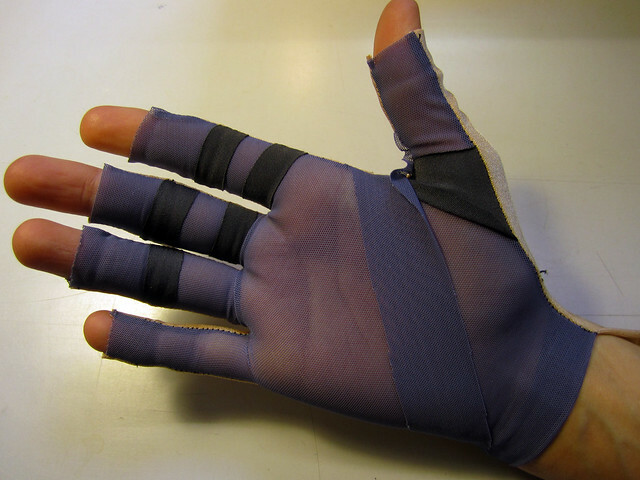 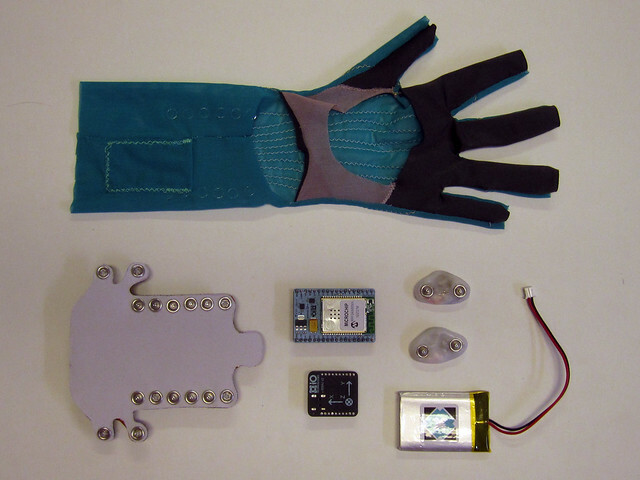 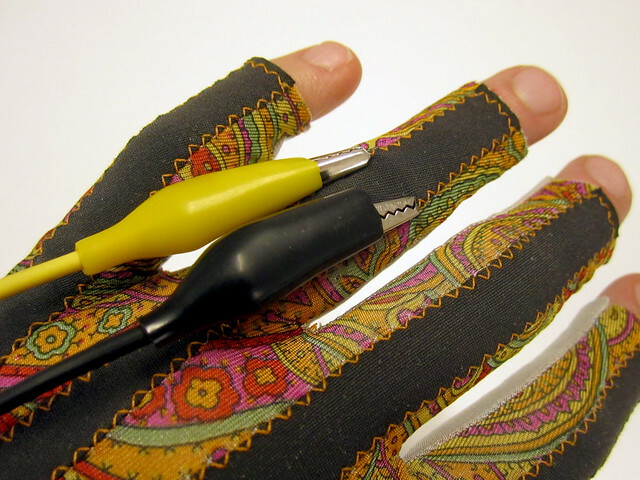 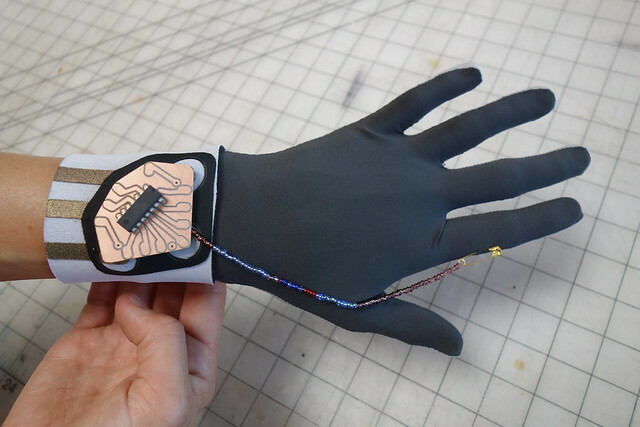 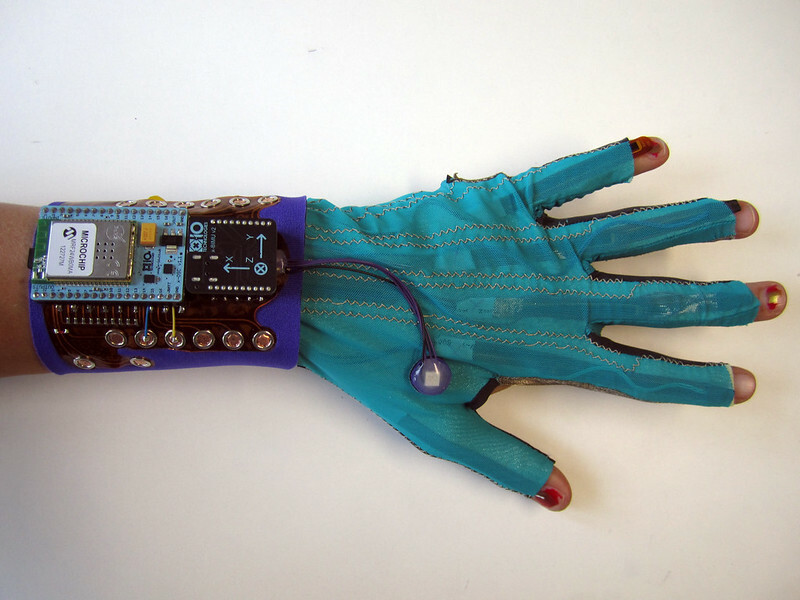 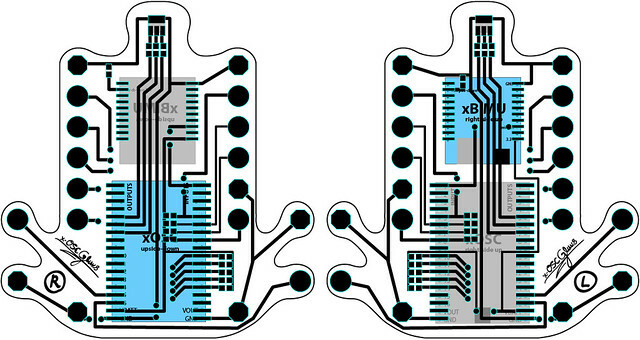 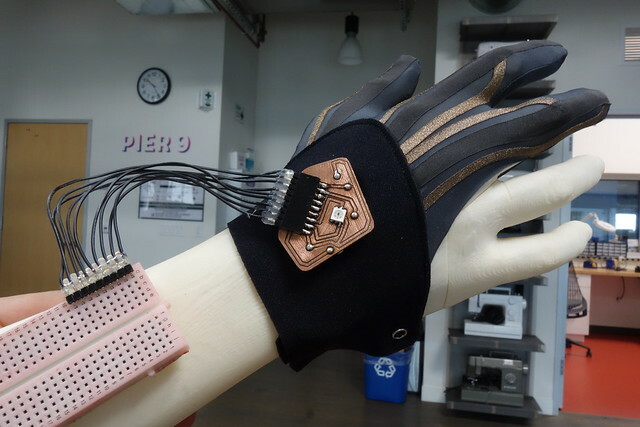 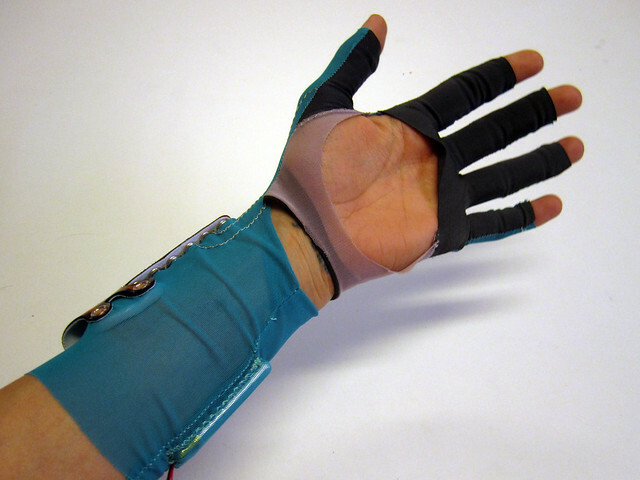 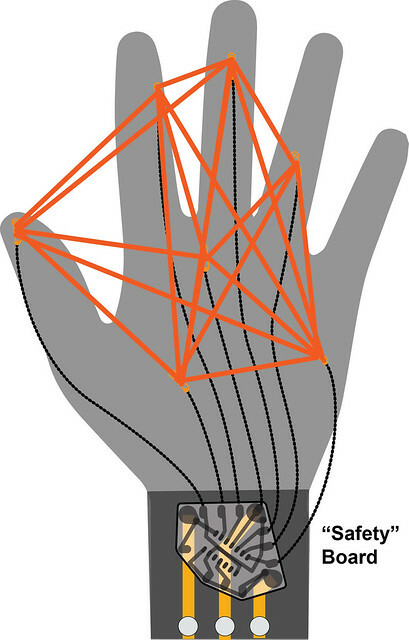 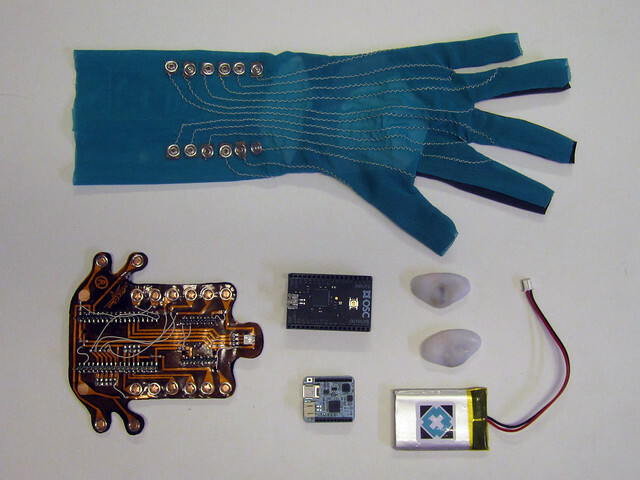 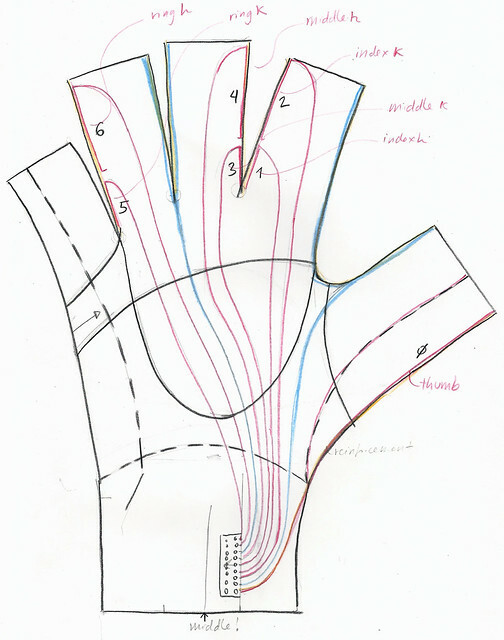 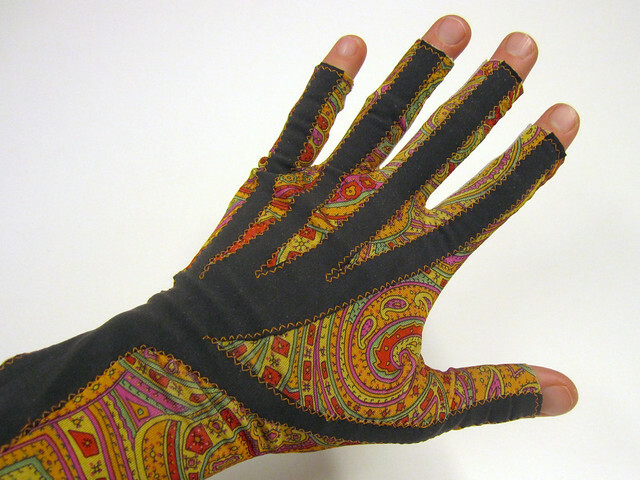 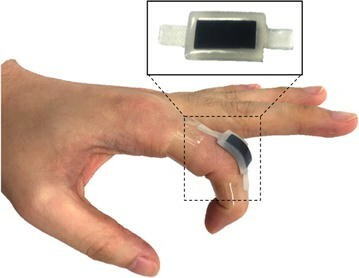 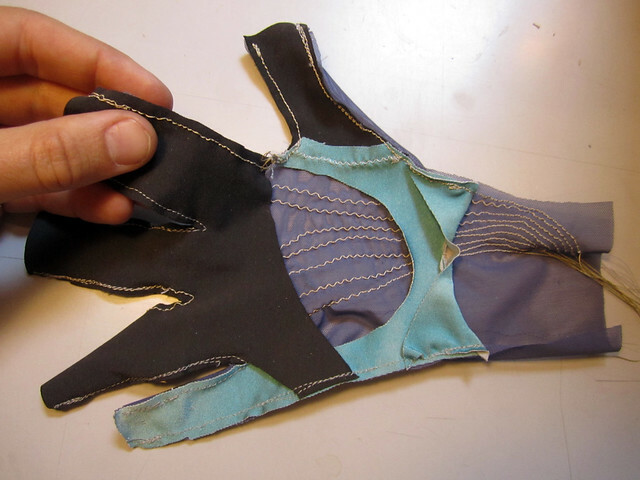 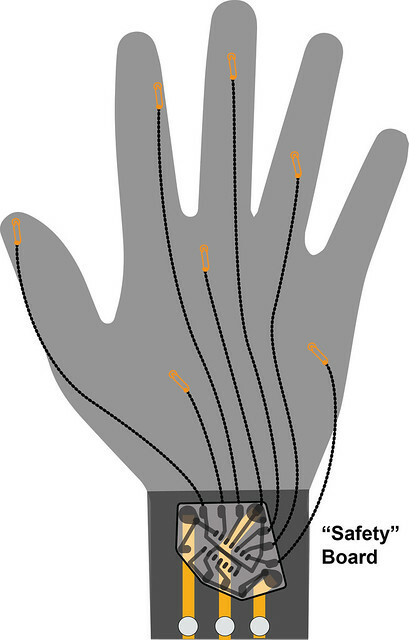 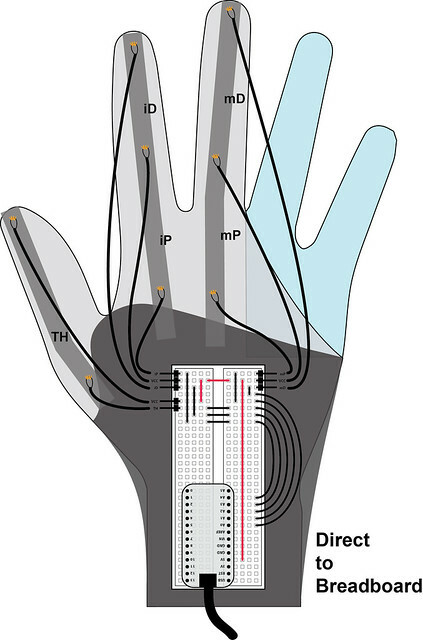 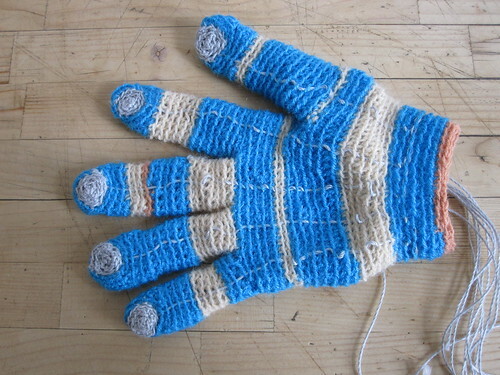 A dataglove made from piezoresistive fabric with safetey pin connectors that can be pinned to different parts of the glove to capture stretch in different areas. 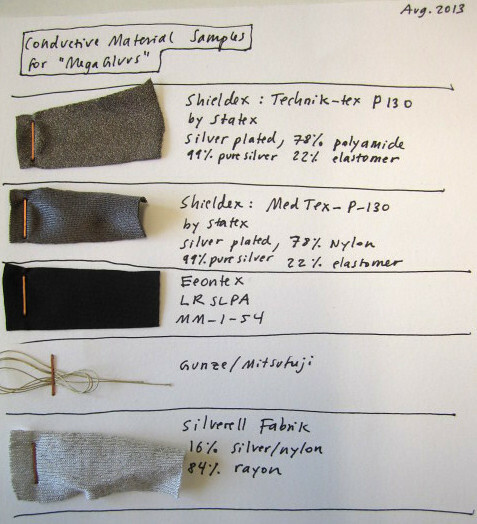 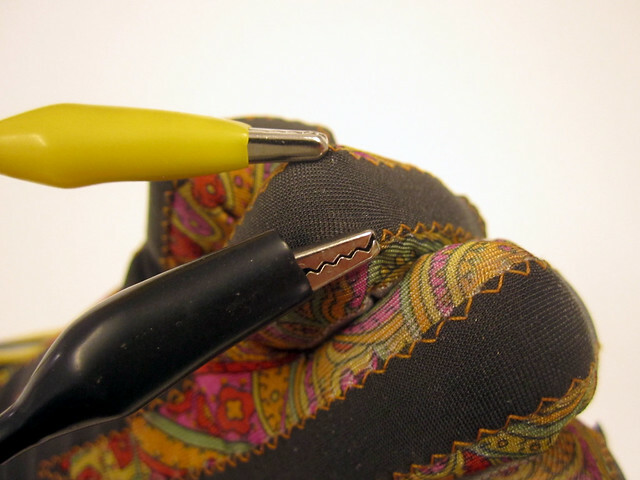 Eeonyx pressure between two traces of conductive fabric. 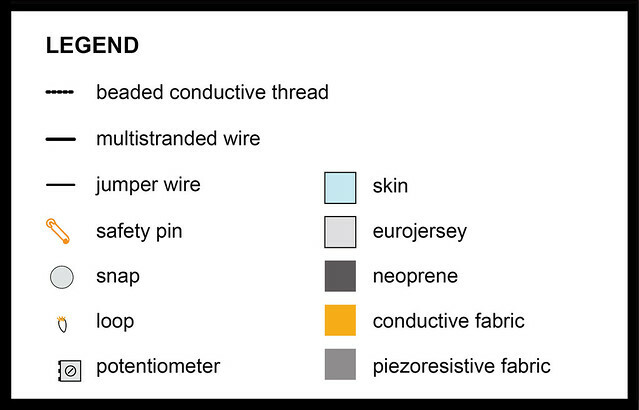 Eeonyx pressure between two lines of conductive thread. 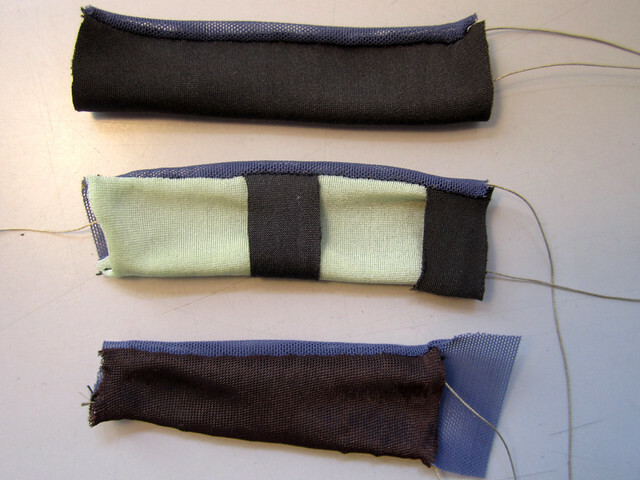 Comparing commercial bend sensors with Eeonyx forchette squeeze sensors.